I'm still not 100% convinced of the "jailhouse lover" angle. But I do find it curious that Aaron Hernandez's lawyer swears up and down that one of the suicide notes wasn't for "close friend" Kyle Kennedy when everything suggests it was. 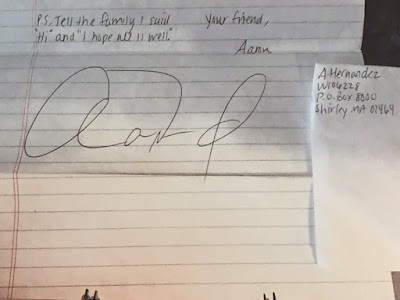 Attorney Larry Army Jr. told reporters that he believes Aaron Hernandez left a suicide note for his client and intended to leave the man a substantial gift. Army said Monday that his client, inmate Kyle Kennedy, believes he was the intended recipient of one of Hernandez's three suicide notes. However, Army has declined to describe the relationship between Kennedy and Hernandez. "My client does firmly believe that one of the letters was written to him," Army said. "My client believes that, based on the closeness of the relationship that he and Aaron Hernandez had, there would be nobody else that he would have written to." Army also asserted that Hernandez intended to leave a $47,000 watch to his client. 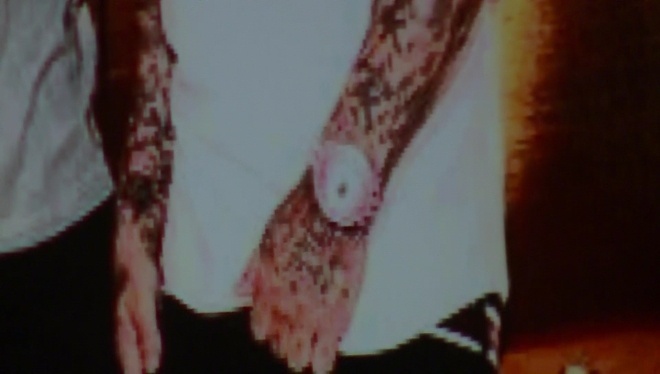 The attorney displayed a photo of Hernandez in which Army said the watch was visible. 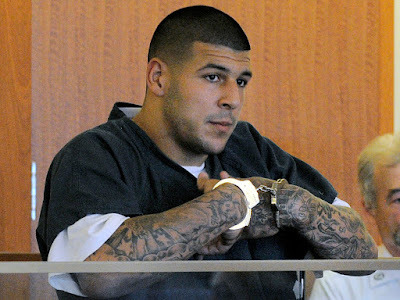 "Aaron Hernandez has told my client he was giving him this watch," Army said. David Wedge, a spokesman for Kennedy's attorney, said Wednesday the two inmates at the maximum security the Souza-Baranowski Correctional Center in Shirley, Massachusetts, had asked to be cellmates last September. He said the request initially was approved, but then denied. Army told reporters that Hernandez and Kennedy were friends and that Hernandez had written to Kennedy's family, but said that additional information about the relationship between the two inmates will come directly from Kennedy at a later date. Hernandez's attorney has vehemently denied that any of the letters were intended for Kennedy. "I am reaffirming, unequivocally, no such letter to Mr. Kennedy, or any other individual, in our out of prison, exists," Jose Baez wrote in a statement. Baez also suggested that "malicious" rumors about the relationship are being "used to tarnish someone who is dead."